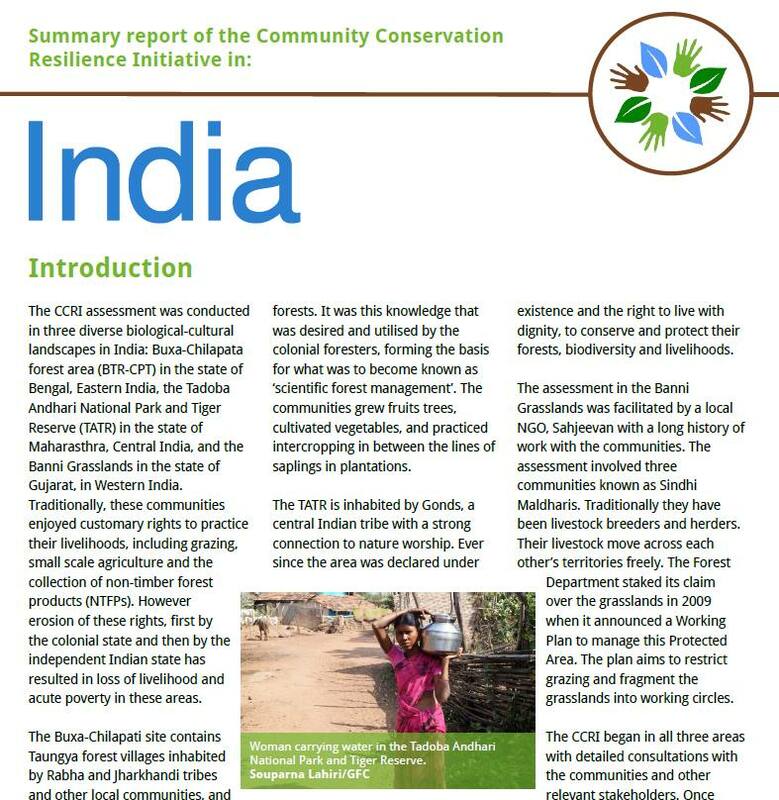 The CCRI assessment was conducted in three diverse biological-cultural landscapes in India: Buxa-Chilapata forest area (BTR-CPT) in the state of Bengal, Eastern India, the Tadoba Andhari National Park and Tiger Reserve (TATR) in the state of Maharasthra, Central India, and the Banni Grasslands in the state of Gujarat, in Western India. Traditionally, these communities enjoyed customary rights to practice their livelihoods, including grazing, small scale agriculture and the collection of non-timber forest products (NTFPs). However erosion of these rights, first by the colonial state and then by the independent Indian state has resulted in loss of livelihood and acute poverty in these areas. The Buxa-Chilapati site contains Taungya forest villages inhabited by Rabha and Jharkhandi tribes and other local communities, and is surrounded by the Buxa Tiger Reserve and Jaldhapara National Park. These forest villages were formed by the colonial forest administration during the last decade of the nineteenth century ensuring a captive bonded labour force for forestry operations. The communities inhabiting these villages traditionally practiced swidden agriculture and the controlled use of fire to preserve the biodiversity on the land and in the forests. It was this knowledge that was desired and utilised by the colonial foresters, forming the basis for what was to become known as ‘scientific forest management’. The communities grew fruits trees, cultivated vegetables, and practiced intercropping in between the lines of saplings in plantations. The TATR is inhabited by Gonds, a central Indian tribe with a strong connection to nature worship. Ever since the area was declared under successive expanding regimes of Protected Areas, Gonds have been facing the threat of eviction and displacement and pressurised to relocate outside the Protected Area. Since 1968, grazing has been limited to the sanctuary area, and the collection of NTFPs and minor forest produce, including Tendu leaves, is completely banned in the National Park and Tiger Reserve. Today, villagers are struggling for their existence and the right to live with dignity, to conserve and protect their forests, biodiversity and livelihoods. The assessment in the Banni Grasslands was facilitated by a local NGO, Sahjeevan with a long history of work with the communities. The assessment involved three communities known as Sindhi Maldharis. Traditionally they have been livestock breeders and herders. Their livestock move across each other’s territories freely. The Forest Department staked its claim over the grasslands in 2009 when it announced a Working Plan to manage this Protected Area. The plan aims to restrict grazing and fragment the grasslands into working circles. The CCRI began in all three areas with detailed consultations with the communities and other relevant stakeholders. Once Free, Prior and Informed Consent (FPIC) was granted by the communities, assessment teams were established and they participated in a capacity building and training workshop. The assessments followed the methodology of resource mapping, focussed group discussions including with women, and collecting oral testimonies, especially from the community elders. Communities participating in the CCRI assessment are invoking the Scheduled Tribes & Other Forest Dwellers (Recognition of Forest Rights) Act (FRA), 2006 to assert their rights over natural resources. Previously, since colonial times, the forest communities in India had lost their forest rights and were not allowed to follow their traditional conservation practices. This historic and unique legislation restored their traditional rights, and further empowered the communities to govern their forests through Gram Sabhas, which are traditional village councils consisting of every adult member of a settlement. These rights are closely linked to ideas of livelihoods and cultural identity and had allowed the communities and their environments to flourish. The Chilapata-Buxa communities and the Gonds inhabiting TATR used the opportunities given by the Forest Rights Act to claim forest rights near their village territories. They formed a Gram Sabha, initiated community patrolling of the forests, and planted saplings of indigenous varieties in patches where natural forests had been felled. They have rejected the the Forest Department’s attempts to relocate them. In the Banni Grasslands, the three communities involved in the CCRI have now registered formally as the Banni Breeder’s Association (BBA) and staked formal communal right to these land resources, also under the Forest Rights Act. In 2011 they launched a programme in ten villages to regenerate the grasslands around each village. This is part of the broader struggle to assert community rights over their lands and the management of the grasslands. This exercise helped to demonstrate the efficacy of grassland regeneration by the pastoral communities themselves. The forest departments and the State are creating hurdles to the implementation of the Forest Rights Act. For instance, the CCRI communities assessed should be able to enjoy their customary rights over their forests and to practice their traditional livelihoods, but in practice they are threatened by expanding Protected Areas, potential forced relocation, and the loss of access to natural resources. At the same time the forest departments are channelling various government schemes, benefits and funds through the local Panchayats, which certain village representatives are elected to, and the Joint Forest Management Committees (JFMCs), rather than the traditional Gram Sabhas. This is leading to nepotism and creating division between and within the communities. The lack of support for community rights over their forests and grasslands is impacting communities’ own initiatives and eroding their knowledge about how to manage and govern their forests. Intervention in the landscape creates problems. In general there is very strong opposition to monoculture tree plantations that are ruining the communities’ livelihoods and health, and the ecology and economic value of the forests they rely on. In the Banni Grasslands intervention has included the propagation of the highly invasive Prosopis Juliflora which has displaced different varieties of grasses, herbs and shrubs that are vital to the health and well- being of the Banni livestock. Most of the internal threats identified by the communities are a result of misguided state intervention, the intrusion of commercial interests and the influence of ‘mainstream’ cultural practices. The traditional relationships and cultural bonds that the communities have with their environments are under threat. Traditional livelihoods are no longer seen as a viable option by the younger generation, who seek employment and livelihood outside the realm of their traditional habitat, forests and territories. The ethos of judicious management of natural resources is at stake in all three areas. With greater interaction with the modern ‘mainstream’, the traditional role of women is also changing. Even in case of the matrilineal Rabha community (Buxa- Chilapati site), men are increasingly taking decisions and women reduced to household responsibilities and child rearing. Pastoralism as a way of life and livelihoods is in a state of flux all over the world and Banni is no different. Development policies have incentivised milk production in a way that is undermining the pastoral practices. With restrictions on the movement of pastoralists with their animals, the male animals have been left with little economic value. 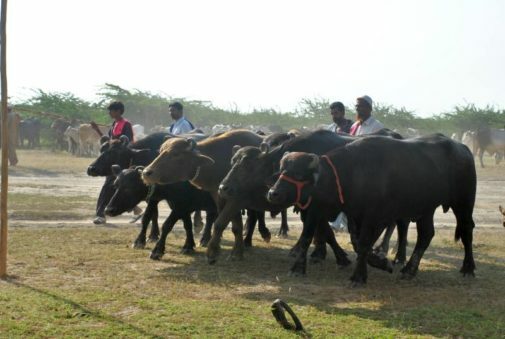 This has affected the pastoral livelihoods and led to increasing dependence on the milk economy: Maldharis have become milkmen instead of breeders. This has led to a greater dependence on external markets for water and fodder for their animals. Simultaneously, there is an increase in the number of animals in the grasslands that threatens to exceed its carrying capacity. Recognition of community rights on forest lands is essential to the survival of the communities and their environments. These communities have traditionally been custodians of their landscapes and their ecological knowledge and cultural norms have played a significant role in conserving the natural resources. Policies that restrict their access to these lands will be harmful to both the community and the ecological resources. The livelihood crisis that the communities are undergoing at present could to a large extent be addressed by the recording of their tenurial rights over land and community forest resources. While all three communities have already taken the initiative to take control of their forests, formal recording of rights and allowing the Gram Sabhas to function will have a multiplier effect on the community conservation initiatives and facilitate the process of community control over and governance of forests. The communities, in collaboration with local NGOs, also assert that the Government of India should recognise the UN Declaration on the Rights of Indigenous Peoples (UNDRIP) and in that spirit, implement the related provisions of the FRA 2006 and PESA (Panchayats Extension to Scheduled Areas Act, 1996) to recognise their autonomy and the power of the Gram Sabha. Governments’ and related agencies’ support through funds and development schemes should be channeled through related and responsible committees formed under Gram Sabhas only. There is a need to reinvigorate traditional common land management norms, and support the formation of new norms and their institutionalisation wherever necessary. The Indian State should facilitate the restoration of landscapes according to communities’ traditional wisdom and knowledge, requirements and local needs, benefitting both the communities and wildlife and protecting forests and biodiversity. In the pastoral areas, it is critical to re- establish traditional trade and non- trade relationships between farmers and pastoralists. Women from the communities strongly feel that their traditional rights and security should be ensured while accessing the forests to collect fuel wood, NTFPs or minor forest produce. 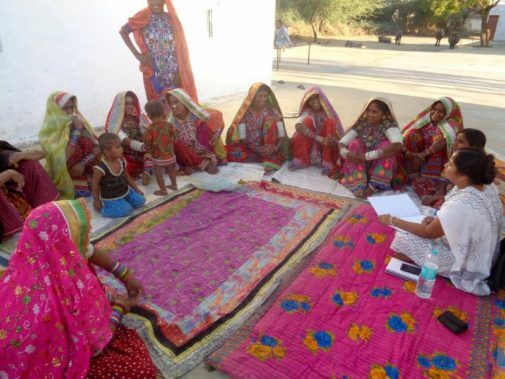 Women have also voiced their opinion that the formation and strengthening of the Gram Sabhas will help to strengthen their participation and role in decision- making processes regarding the well- being of the community and conservation initiatives. Finally, the communities would benefit from assistance accessing their rights with respect to forests, and instituting norms, and education about related issues. For example, in the Banni grasslands, the community has asked a group of ecologists and social scientists (RAMBLE- Research and Monitoring in the Banni Landscape) to study how the pastoralists have changed in response to changes in their immediate political, social, economic spheres. Mr Salimbhai Node, was a resident of Sargu village in Banni. Lovingly called Salim Mama (maternal uncle), he was respected as a Bhagiya, one who possesses expertise of ethno-veterinary practices and indigenous knowledge. Salimbhai realised the importance of traditional livelihoods and customary rights to the ecology of the Banni. He worked to reestablish the way the grassland had been utilised, conserved and managed by the Banni pastoralists, and was one of the key members of the BBA. His wisdom was equally matched by his oratory and humour. Unfortunately, Salimbhai succumbed to ill health in April 2017. However his legacy lives on through the various campaigns and programmes he helped launch, and in the Maldharis’ determination to gain customary rights to their traditional lands. It was a late winter night in January 2010 when forest officials and police entered the forest village of Kurmai in Chilapata-Buxa area and knocked at the door of Sundarsing Rabha, a 21-year-old Rabha community leader. The police came to arrest him on charges filed by the Forest Department for actively participating in and facilitating the proclamation of community forests under the Kodalbasti Gram Sabha. The sleepy village soon woke up and the women of the village rushed to his house and formed a cordon between Sundar and the police to prevent his arrest, refusing to budge until the police and the forest officials left. Sundar was subsequently slapped with various warrants, and now faces 13 cases. But, police harassment and flak from the forest officials is not new for this young Rabha leader who is comimitted to the struggle for the well-being of his community and the rights of forest villagers in the Chilapata-Buxa area. He is currently the co-convenor of the North Bengal Forum of Forest People and Forest Workers and a member of the Central Coordination Committee of the All India Forum of Forest Movements (AIFFM).